UPDATED 28 November 2018: According to researchers speaking during last week’s Co.Lab 2018 gathering in Parramatta, hosted by Landcom and UrbanGrowth NSW Development Corporation, development is sometimes optimised for profit and yields rather than sustainability or climate resilience. Orientations that work well with solar access might suddenly be switched to fit in higher yields. Or low quality building compensated for by energy intensive airconditioning. According to Professor Cameron Tonkinwise, director of the UTS Design Innovation Research Centre, the “return on investment mentality” still largely dominates decision making in development. 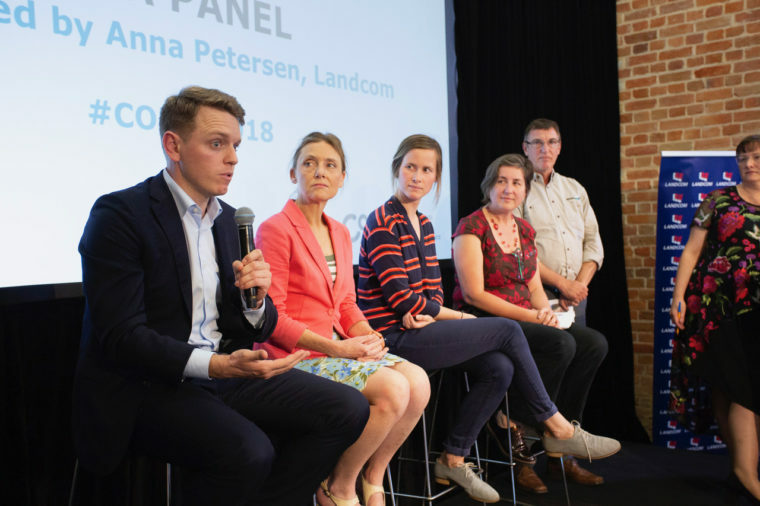 Speaking to The Fifth Estate during last week’s Co.Lab 2018 gathering in Parramatta, hosted by Landcom and UrbanGrowth NSW Development Corporation, Professor Tonkinwise said developers still prioritised the financial bottom line in a way that compromised the implementation of mitigation measures. He said many homes were designed around the trends expected to appeal to future buyers, rather than the thermal comfort of the occupants. Another factor stalling widescale adoption of cooling strategies was that while electricity is expensive it is still cheaper than other measures, such as landscaped public areas with water features. The industry “opts for cheaper construction that can be remediated by airconditioning”, he said. These are factored into design and build budgets, but the operational cost isn’t. A third factor is “poverty of imagination”, he said. That lack of vision can be seen in the current dearth of shared cooling strategies such as ways to activate parks as night-time cool destination in hot weather. Professor Tonkinwise said that we are “not good at imagining social strategies” that will enable us to imagine what a night-time park would look like and feel like. He said a lot of the “new imagination” in our cities needs to come from non-European immigrants from places like South East Asia with its night market traditions, or the Middle East, with its tradition of sleeping on the rooftops in hot weather. Events such as Co.Lab that get people talking across topic areas and disciplines are “absolutely crucial for developing wholistic systems-based approaches,” he said. They could achieve more joined-up, cross-disciplinary thinking and practice in creating our cities. This was a key theme of the conference that was held at Parramatta North’s Heritage Precinct. The event brought together leading academics, post-graduate students, researchers and industry experts to tackle topics including cooling the urban habitat, healthy high density living, affordable housing, urban food production, carbon neutral land development and using technology to solve pressing urban issues. Landcom chief executive John Brogden said Landcom’s research and learning program aimed to foster critical thinking, innovation and lifelong learning to improve the supply, diversity and affordability of new housing and also creating sustainable and inclusive communities, “to ensure that the cities of tomorrow are created using a strong and credible evidence base”. “Landcom doesn’t have all the answers, which is why our partnerships with universities, vocational education providers and schools are so important to help solve some of the issues we face when planning new communities,” Mr Brogden said. 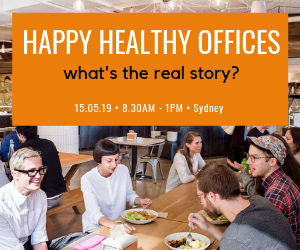 One of the key themes of the event was Reflections on Place, and UrbanGrowth NSW chief executive Barry Mann said the venue was itself an opportunity to reflect on how the past can help shape a “shared vision for the future”. “This event presents an exciting opportunity for us to consider how we will continue to develop of shared sense of place and sustainable communities through innovation, learning and collaboration,” Mann said. UNSW Professor Hal Pawson spoke on the potential for affordable build-to-rent housing to take off in NSW. The theme from Dr Abby Mellick Lopes, senior lecturer at Western Sydney University Institute for Culture and Society, was on social and built environment strategies for “Cooling the Commons”. Feeding our cities was another major topic area. Dr Alana Mann from Sydney University’s Sydney Environment Institute outlined some of the recent research and thinking in the urban food production space. She highlighted the social dimension of growing food in the increasingly dense cityscape in a conversation with The Fifth Estate. In a project examining the situation in inner-Sydney’s Central to Eveleigh corridor, interviews with residents found there was a disparity between the food security of those living in public housing and those living in the newly gentrified areas. There are a range of alternative food distribution networks, such as the Eveleigh Farmers Market and Alfalfa House, however, many of the lower income households could not afford the produce sold there and rely on bodies such as OzHarvest, she said. “We need to think about where food is coming from,” Dr Mann said. The current trend for putting a supermarket at the ground floor of an apartment building is not an answer. There are 17,000 people – around 8.5 per cent – of residents in inner Sydney who have food insecurity, she said. Getting food into the community means ensuring there are transport links and infrastructure for it, and also supporting the rise of urban agriculture, such as the urban mushroom farm at Fairfield and the Camperdown Community farm. Mann said one of the major findings of the research was that food is linked to social exclusion for low income residents. This has wider implications for public health and for mental health of the community. We need a new metric, she said – one that incorporates thinking about health, the environment and people’s wellbeing. Getting a grip on how to account for embodied carbon in the built environment was the topic of Western Sydney University PhD student Navodana Rodrigo’s presentation. Ms Rodrigo has been working on a methodology for using blockchain to measure embodied carbon. “Everyone has been focused on operational carbon, but embodied carbon is going up,” she told The Fifth Estate. Blockchain has worked well for managing the accounting of cryptocurrencies, so now there is a focus on looking at other applications. Her goal is to develop a way blockchain can be used that will provide a more standardised and accurate approach for accounting for embodied carbon in the construction supply chain. Currently, there are so many ways of estimating embodied carbon, she explained, and there are a lot of inaccuracies. Two consultants looking at the same project are in fact likely to arrive at different answers due to the lack of a standard approach. “There are also a lot of assumptions [being used],” she said.